Trailhead and General Information: The trailhead for Bernardo Mountain is located off of I-15 south of Lake Hodges on Bernardo Drive in Escondido, California. Length is about 6.5 miles with 1000 feet of elevation gain. During the weekend the Lake Hodges area is popular with bikers so it is advisable to arrive early. Daytime temperatures during the summer are warm so bring a hat, sunscreen and water. 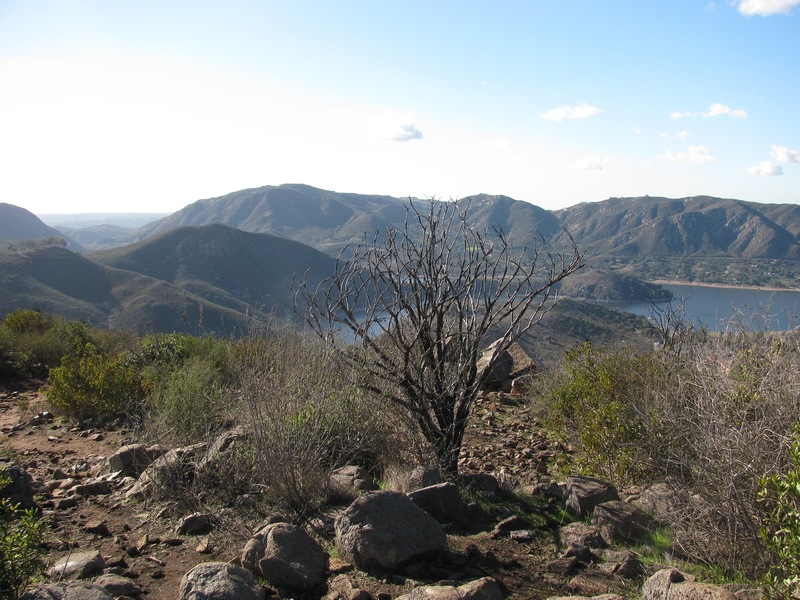 An interesting backpacking trip would be to take the newly created coast to crest trail. This trail would take multiple days. The hike: Leave the trailhead walking on the concrete path along Bernardo Drive. At the bottom of the hill cross Lake Hodges on the bridge to north side of the lake. After you cross the bridge turn left and hike along the north side of lake. 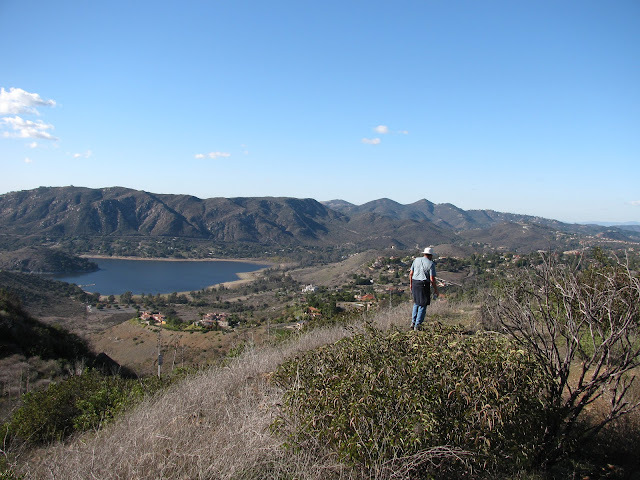 At the San Dieguito River Park turn away from the lake and follow the trail to the backside of the mountain. 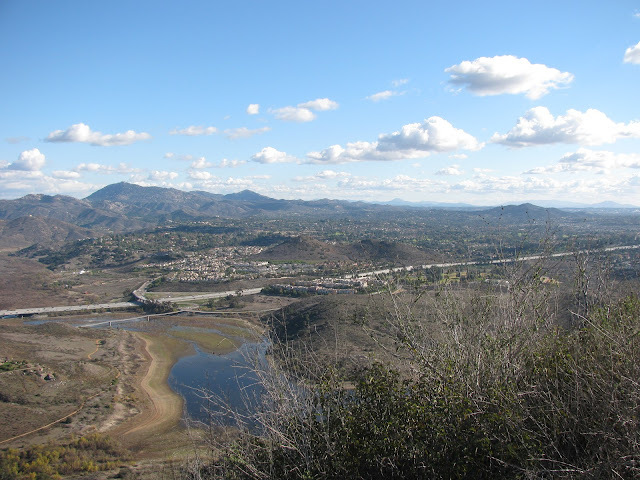 From the San Dieguito River Park hikers or mountain bikes gain elevation quickly by switchbacks to the top of the mountain. The view from the top of the mountain is very good and worth your effort. 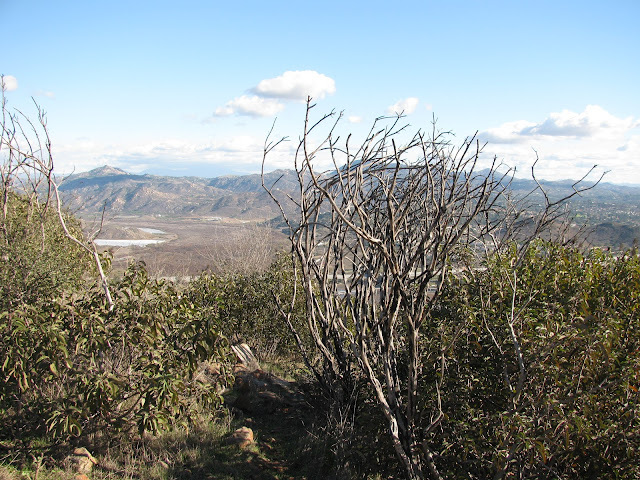 Flora in the area includes california scrub oak, eucalyptus, palms, poison oak; as well as many species of grasses. (Information from www.everytrail.com/viewtripphp?trip_id=949737).